During the 2015 summer term, nine art majors in Jackson State University’s College of Liberal Arts had the opportunity to visit Salvador Da Bahia, Brazil, as part of the JSU Passport to the World study abroad program. 2014 was quite a year for blues artist Dexter Allen and there are no signs that he’ll be slowing down anytime soon. 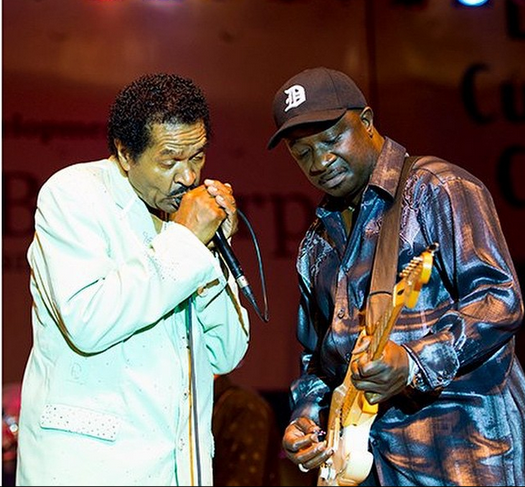 After playing lead guitar on and off for the legendary Bobby Rush for 14 years- four of which he spent traveling the world as his band leader, Allen had a proposition for Rush; his fourth project entitled “Bluez of My Soul.” Allen wanted it released on Rush’s Deep Rush Records label. Click image to hear samples. Photo from Amazon.com. 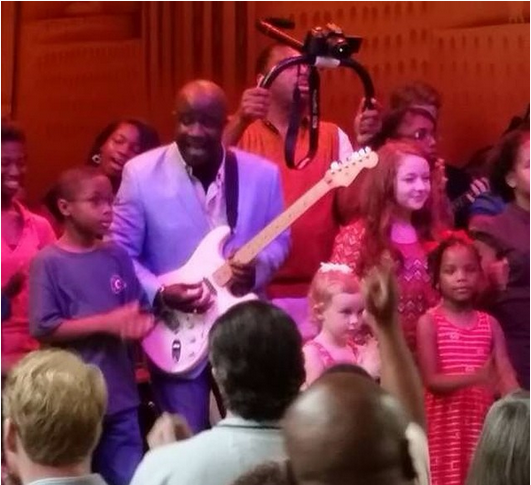 Allen recently took on yet another philanthropic endeavor when he was elected to the Board of Directors of The Blues Foundation in Memphis Tennessee, Allen. A personal goal during his term is keeping the blues alive through education. He plans to create platforms that allow artist worldwide to collaborate, thus increasing visibility and ensuring longevity of the genre. Allen’s work has been impressive to say the lease, but something tells me this self-described “little country boy with a little talent,” is just getting started. Get show schedule and more at dexterallen.com. 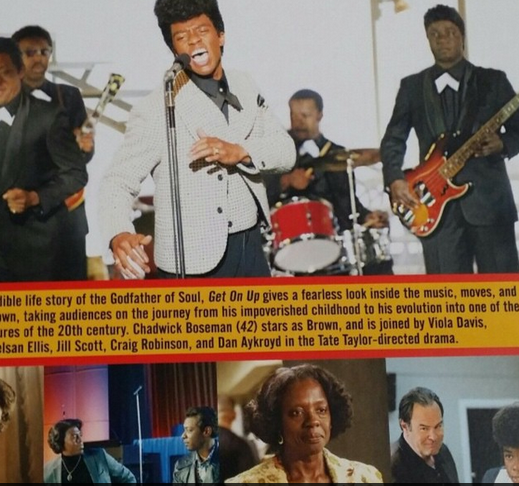 Allen spent 3 days on the set filming his scenes for Get On Up. In February of last year Allen received a resolution from his hometown of Crystal Springs. Less than a month later, in a resolution adopted by the Mississippi House of Representatives and Senate, Allen was described as a “Blues artists extraordinaire.” The resolutions commend the multi-instrumentalist and vocalist for his talents, accomplishments, and contributions to the music industry. All photos courtesy of dexterallen.com except where noted. A version of this article first appeared in Jackson Free Press Vol 13 No 49. This Cake Will Have You Humming Holiday Melodies! Every Christmas for about the last 8 years I say I’m going to make a Hummingbird Cake. But I never do. I always end up buying some other cake. 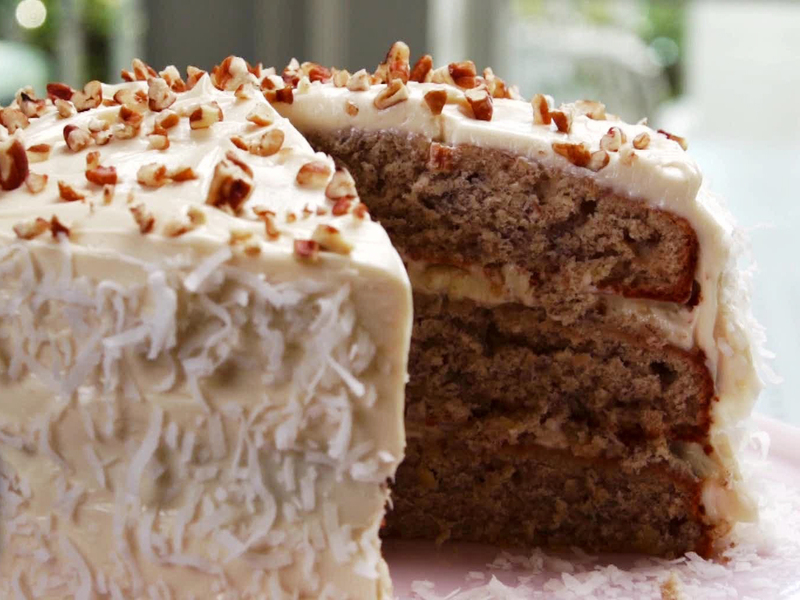 A Hummingbird Cake is a scrumptious spice cake made with bananas and pineapples, typically with pecans and sometimes coconut. This year, to hold myself to making one, I called up my mother-n-law who lives in another state 14 hours away. I asked for her oh so delicious Hummingbird cake recipe, and that simple act alone pretty much binds me to turning one out this year. I can’t disappoint her with “oh well, I decided not to make it.” She’s always so excited whenever I call to ask for a recipe that I refuse to let her down. I HAVE to tell her how wonderful it turned out, right? So it’d better, or else I’m sure hubby might accidentally let it slip to her that either I didn’t make it or it turned out atrociously. Even so, naturally, I want to add something different to make it my own. Sort of. So I went online to get a few ideas. I came across two that I like: 1. Paula Dean’s version looks super yummy. Plus the video of Paula and son Jaime whipping up this southern layered favorite is quite comical. I just had to share it. 2. I found a version that is pretty close to my mother-n-law’s. 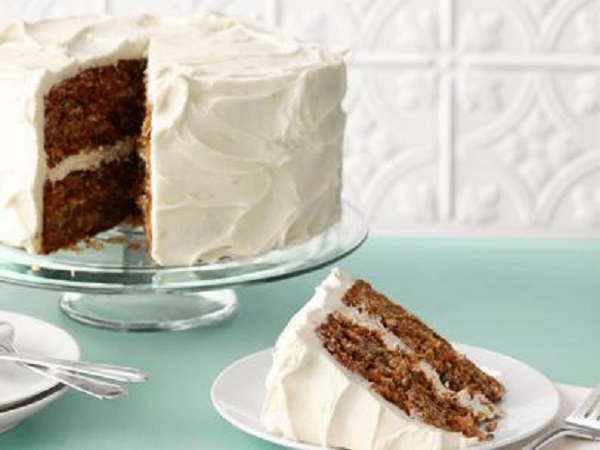 I still haven’t decided what twist I’m going to add if any to my first Hummingbird Cake ever, but I’m posting what I found below courtesy of foodnetwork.com. Do you have a better Hummingbird Cake recipe? Post it on our facebook page or tag @etudelife on Pinterest or Twitter. Although in the video they don’t quite stick to the written recipe, I’ve posted it below. Preheat the oven to 350 degrees F. Spray three 9-inch baking pans with nonstick baking spray. In a large bowl, beat the butter, granulated sugar and vanilla at medium speed with a mixer until fluffy. Add the eggs, one at a time, beating well after each addition. In a medium bowl, combine the flour, baking soda, cinnamon and salt. Add to the butter mixture alternately with the buttermilk, beginning and ending with the flour mixture, beating just until combined after each addition. Add the bananas and pineapple, beating until combined. Using a measuring cup, spoon the batter into each of the three prepared pans, one scoop at a time to ensure an even distribution. Slam the pans against the counter to get any air bubbles out of the batter. Bake until a wooden pick inserted in the center comes out clean, 25 to 35 minutes. Cool in the pans for 10 minutes. Remove from the pans and cool completely on wire racks. Spread some Frosting between the layers. Spread the remaining frosting over the top and sides of the cake. Garnish with coconut and nuts if desired. Beat the butter and cream cheese together with a handheld electric mixer until smooth and creamy. Beat in the confectioners’ sugar in increments. Lastly beat in the lemon juice and vanilla. Make the cake: Preheat the oven to 350 degrees F. Butter two 8-inch round cake pans and line with parchment paper. Butter the parchment and dust with flour. Spread the pecans on a baking sheet and bake until fragrant and toasted, about 8 minutes. Let cool slightly, then roughly chop. Toss with the bananas, pineapple and 1/2 cup flour in a small bowl. Whisk the remaining 2 1/4 cups flour, the cinnamon, nutmeg, ginger, baking soda and salt in a bowl. Beat the eggs and granulated sugar in a separate bowl with a mixer on high speed until thick and light, 5 minutes. Gradually beat in the vegetable oil. Sprinkle the flour mixture over the egg mixture, then gently fold to make a thick batter. Fold in the pecan-fruit mixture, then transfer the batter to the prepared pans. Bake until the cakes are firm and a toothpick inserted into the middle comes out clean, 50 to 55 minutes. Cool in the pans on a rack, 25 minutes, then invert the cakes onto the rack to cool completely. Make the frosting: Beat the cream cheese in a large bowl with a mixer until fluffy, then gradually beat in the butter until combined. Sift the confectioners’ sugar over the cream cheese mixture and beat until smooth. Add the lemon zest and vanilla and beat until light and fluffy. Place one cake layer on a serving plate. Spread about half of the frosting on top, then cover with the other cake layer. Spread the remaining frosting over the top and sides of the cake. You may not be a die-hard classical music purist, but the Mississippi Academy of Ancient Music (MAAM) can make you feel like one. The organization’s 2014-2015 concert series consists of seven performances and marks its 30th season of presenting early classical music the way the composers intended it to sound. When it comes to music from the 18th century or earlier, Dr. Richard McGinnis, a MAAM founding organizer, says the problem is “we play it the same way we would play [songs that were written] today. It turns out that’s not remotely what was expected. So people like Bach and Handel sound very different when played on the kind of instruments they intended to be used as opposed to what we do today.” McGinnis says even when we have similar instruments we play them differently. Luckily there are an elite few dedicated to replicating sounds that are truer to early music. Beyond authentic instruments, they’ve studied old instruction books on how to properly play those instruments. Some would-be concert goers may be put off by the term “ancient” but they shouldn’t be. McGinnis says that by “ancient” they are not referring to music from biblical times. He explains that in the 18th century there was a group called Academy of Ancient Music and “apparently at that time “ancient” meant 20 or 30 years old.” Based on this, Mississippi Academy of Ancient Music was methodically named because its acronym, MAAM, happened to play on the southern term ma’am, used to show a woman respect. In comparison, the often times difficult classical pieces showcased by the organization merit such respect as do the skilled musicians who interpret them. Delving further into the origins of MAAM, McGinnis credits former Tougaloo College colleague Dr. Ernst Borinksi for bringing everyone together. 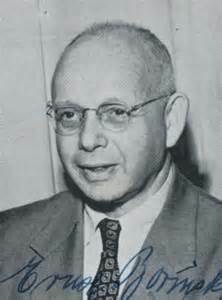 Borinski who passed away in 1983, was a Jewish sociologist who fled Germany as a result of the Holocaust. Upon moving to the South he strongly opposed prevalent Jim Crow laws. “Borinksi was very well known in the civil rights period back in the days of freedom summer,” McGinnis says. It was at one of Borinski’s annual birthday bashes that co-founders McGinnis, John Paul and Max Garriott first performed together. After 30 years, MAAM, Jackson’s undisputed official curator of ancient music, continues to show strong support for outstanding local talent while drawing internationally acclaimed artists to the city. 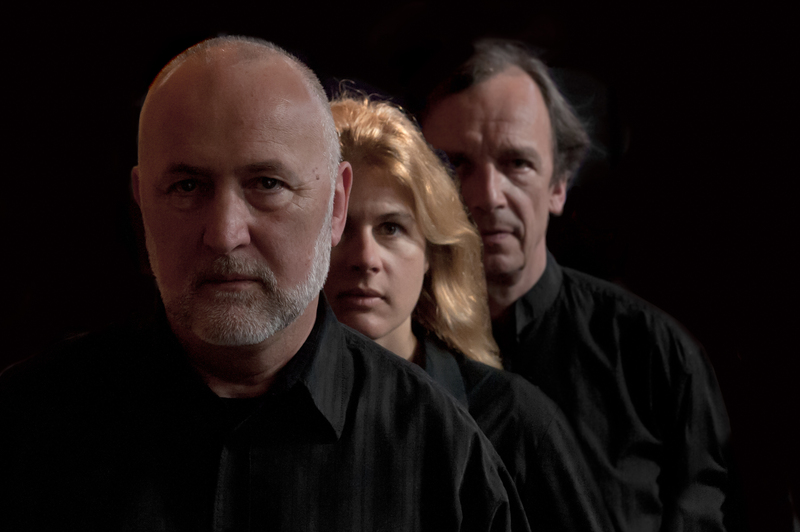 This season’s opening performance on November 20th 2014 featured an über-talented trio made up of John Holloway, violin; Jane Gower, dulcian (baroque bassoon); and Lars-Ulrik Mortensen, harpsichord. Holloway and Mortensen have produced works together for nearly thirty years. One of their most significant recordings is “Corelli’s Op. 5 Sonatas,” the only recording to use the instrumentations specified by Corelli. According to the group’s bio Holloway and Mortensen had the trio sonatas for violino and fagotto by Castello and Fontana on their repertoire wishlist. That wish came true when Jane Gower appeared. Gower is one of the very few bassoonists in the world capable of playing this spectacular music. 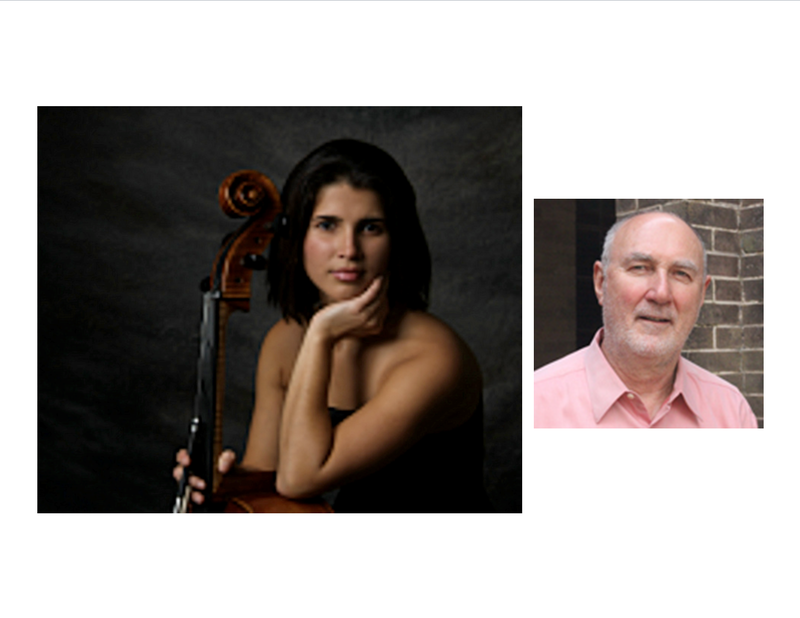 The next performance will showcase Taylis Fernandez- cello and John Paul – piano on Thursday, February 5, 2015. The duo will perform Beethoven sonatas for ‘cello and piano. Get all show dates, time and locations at ancientmusic.org. You’ll also find a full list of performers and prices. Taylis Fernandez and John Paul perform together February 5, 2015. A version of this article first appeared in Jackson Free Press November 19-26, 2014 issue.